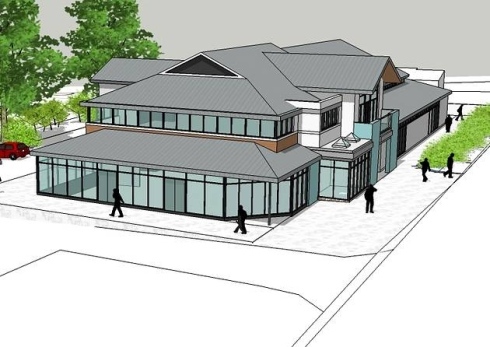 As a town councillor in Honiton, I’m incredibly excited about the future plans for the new community centre here in our town – or The Beehive as it will be known. Here’s some info from the council about a public meeting taking place later this month. Please pop along to hear more, and let us know what YOU want from YOUR centre. Residents will be aware that for the past few years Honiton Town Council has been moving ahead with its plans to build a new community facility for the town. This is now particularly urgent in the light of the closure of several local halls and the fact that the Mackarness Hall is now operating at near full capacity. This will be an opportunity for you to shape the future of the complex and ensure that the building meets the needs of the whole community. The complex includes a number of rooms for use by the community – from a 300 seater main hall to small meeting rooms. We have confirmation from the Registrar that they would like to move into the centre – this will not only secure funding to contribute to running costs but will also make the registration of marriages, births and deaths more accessible. We also have confirmation from ROC (a national charity working with people with learning disabilities) that they would like to assist in the running of the centre. Please come along to join us to plan what you want from your new community facility. What is important to you? How would you want to use this new opportunity? If you are unable to make that date – please add your comments on here and I will pass them all over to the council. I would love to attend but will be busy that evening. As a poet and photographer I support the centre as it would make a great venue for local poetry readings and exhibitions. I look forward to its opening and its flourishing!